My son Max has been in travel baseball for 6 years. The one thing we embedded in him from day one is that he must earn his position with hustle and hard work. His birthday is at the tail end of the age cutoff, which makes him one of the youngest players on the teams he’s been on. Every practice and every game, he’s giving 100%. He’s used to this. He expects this. He knows nothing else. This being said, he’s always managed to earn the trust and respect of his coaches, as well as his position and playing time. Over the years, Max has shown he is a defensive force. He’s your ideal player because he can play any position on the infield or the outfield at any given time and do it well. For this reason, Max has been sought out by teams who are in need of defense - primarily middle infield assistance. Coaches have noted he has natural baseball instinct that cannot be taught. He also hits the ball, rarely striking out. Best quality that seems to win coaches over – he’s an extremely coachable kid. He does what he’s told without question. Coaches love him! For 2 years a team sought him out to come to their team for middle infield assistance. We had our reservations on coming to this team. We came to watch them to see how they looked and how the managers used their own kids. After watching them we noted all of the coach’s kids were in the prime positions. We were assured this would not be the case if he came aboard. We were told positions are earned and he would be used in the middle infield because they desperately needed that hole fixed. Even though Max was asked to come to this team, we let him know he’s going to do what he’s always done. He’s going to earn it and prove himself every game and every practice. Nothing is given. Max accepts the challenge and that’s the only way he knows how to be. Max did everything he was supposed to do. He showed up to every practice and game. He worked hard and did his job. About half way into the season, one of the coaches stomped his feet that his kid was going to play a permanent infield position. This player did not earn that position and he did not belong in that position. But the coaching staff agreed to this demand. Nothing was said to the players or parents until it was evident that this kid was in a spot he didn’t belong and never moved out of it. Of course it changed the flow of our team because everyone shifted positions to accommodate this player. Max continued to work hard to earn his way back to the positions he was brought to this team to play and he did. That season was rough, but Max wanted to stay for the next season because there was going to be coaching changes and he felt they realized his value. They told us this as well. He trusted them to mean what they said. Unfortunately, Max learned in the second season with this team that hustle, hard work and skill mean nothing. 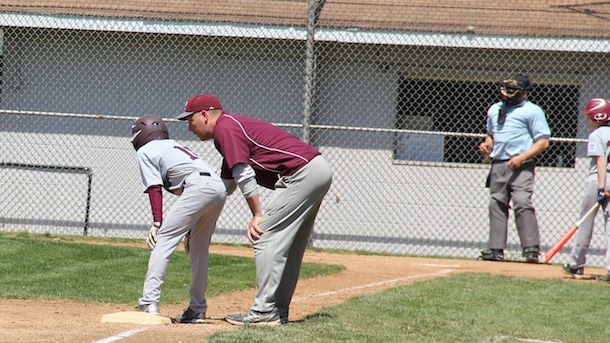 As he watched a player crawl (literally) after a ball on the middle infield he realized the trust he had in the coaches that pursued him, was irrevocable broken. They valued their own kids over ability. Their goal seemed to shift from team building to – select player building at the detriment of the team comradery and morale. When a minor child realizes that hard work and skill don’t top politics, it’s a sad day. I am extremely proud that my son, who is a genuinely nice kid - who was a good teammate and greatly respectful to coaches – decided on his own that the trust he had with his coaches was broken because he no longer believed them - he would not stay. Even though he liked his teammates he realized he needed to move on. He respects himself and his game too much to be treated like he was “less than”. 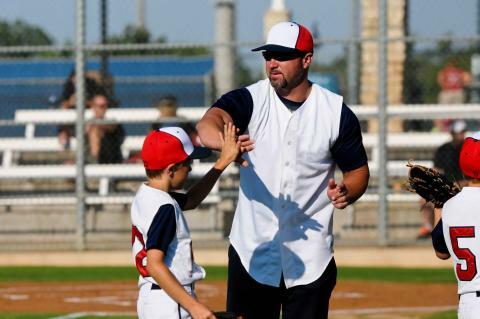 Parents – Don’t allow any coach to break your child’s love of the game.